The Northern Ireland Public Sector Communications Forum (NIPSCF) will host a Communications Academy followed by an awards ceremony to celebrate excellence in public sector communications on Thursday 21 March 2019. This second NIPSCF Communications Academy promises to be another exciting professional development conference, following in the footsteps of last year’s successful Belfast Comms Academy. Delegates will have the opportunity to hear from a number of communication leaders and practitioners and engage in discussions on best practice in public sector communications. Guest speakers will include the Executive Director of UK Government Communications, Alex Aiken and the Permanent Secretary to the Department of Finance, Sue Gray. 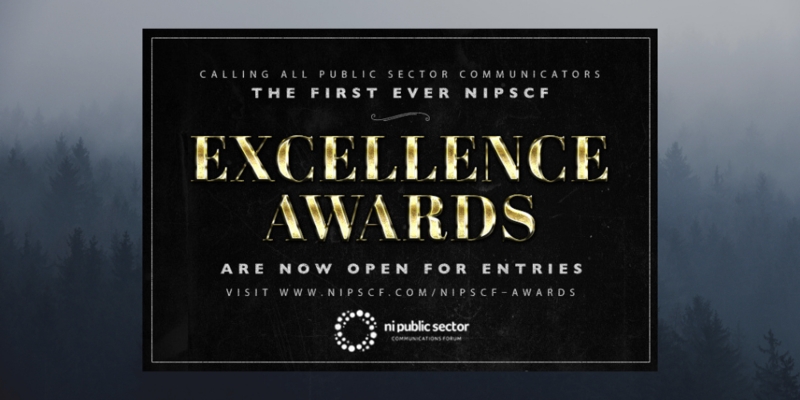 This is the first year that NIPSCF has run awards to celebrate excellence in public sector communications in Northern Ireland. Winners will be announced at the evening awards event and ceremony as the culmination of the day long Communications Academy. Find out more about the awards and fill in your application here. The venue is The Mac Theatre and the day long event and early evening awards ceremony are free to attend, though you must book in advance. We would advise booking early to avoid disappointment. There will also be networking opportunities and a chance to discuss career pathways.